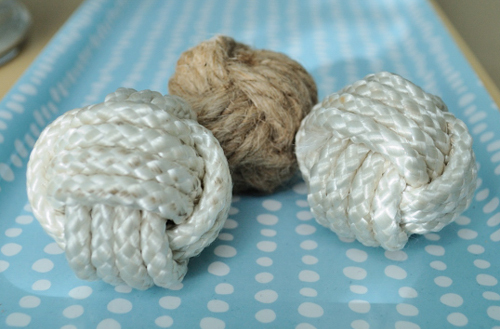 Those monkey fist balls I made back in the summer have had so many lovely comments I thought I’d show you some more I have made. 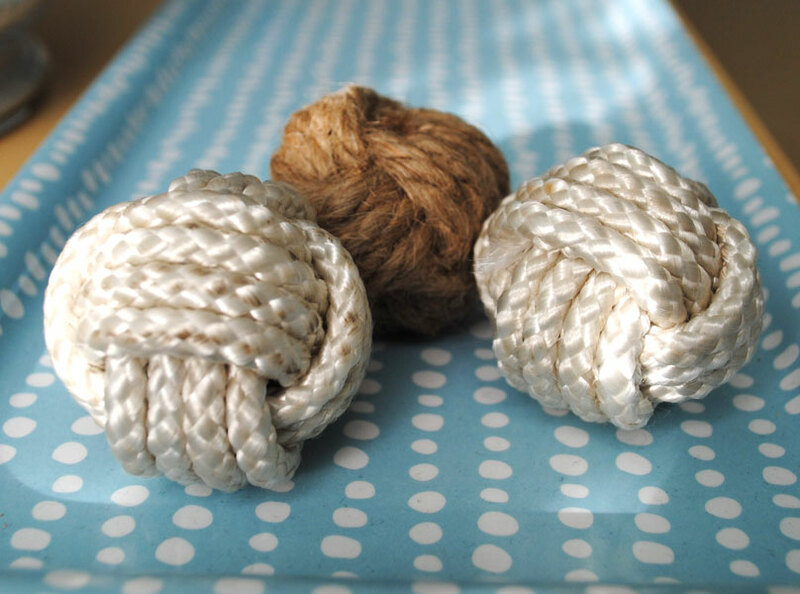 These are much smaller but just as tactile and are made with jute and washing line cord. Inside lies a big marble. 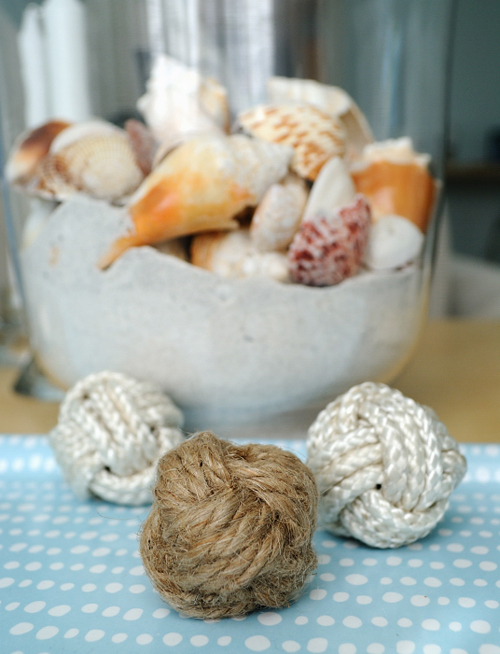 This entry was posted in Coastal Crafts, Coastal Decor, Craft Projects, Decorative Accents, Home Decor, Rope, String. Bookmark the permalink.